The Federation of International Cricketers’ Associations (FICA) today announced the establishment of its men’s and women’s Player Advisory Committees. The committees, comprised predominantly of current senior international players nominated by their home players’ association, complement FICA’s ongoing program of structured engagement with its member players’ associations and players around the world, to ensure it is accurately representing collective player views and interests at the global level. The committees will each hold a structured annual meeting via tele-conference and will also engage informally on a regular basis throughout the year. 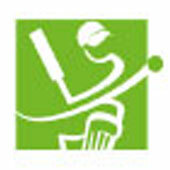 They will focus on both cricketing and employment related issues that affect players globally. The committees will play a part in ensuring that players have a strong and unified voice on important issues at the top of the game.